You’ve spent many years searching for your soul mate. You’ve been heartbroken and a heartbreaker. But you’ve finally found the one you’ve been looking for. This is a big deal. Of course now you need the celebration of your love to be climactic. A unique way to say “I do” and begin your happily-ever-after is to travel to a memorable place with several of your closest loved ones who will gladly witness the magic of your devoted romance. 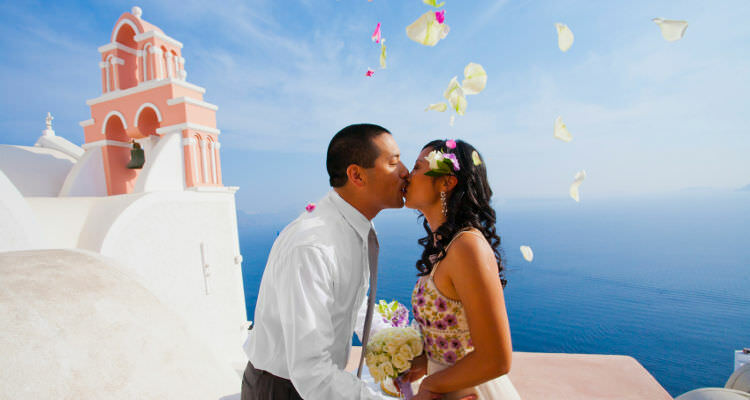 Essentially, a destination wedding is your dream come true. It is a place of your own choosing, away from your hometown, where you and your spouse-to-be will wed and, ideally, honeymoon. It might be a familiar locale the two of you have frequented many times together, making future visits after the marriage that much more special. Or perhaps you’d rather travel to an exotic land you’ve only fantasized about until now. For the more active couple, a trip to the Grand Canyon or a big city like New York might be ideal. Your options are virtually endless when planning a destination wedding, each location coming with its own set of pros and cons. Planning a wedding, whether traditional or not, is a significant endeavor, and marrying away from your accustomed environment will certainly involve challenges. However, research and knowledge of your choice location, essential preparation, and possibly consulting a wedding planner who specializes in destination weddings will make your matrimonial undertaking a lot less taxing. Destination weddings affect your life in a profound way by being the first place where you and your loved one first lay eyes on each other as more than just fiancés. Whether the background to your love story be a waterfall, the beaches of Greece, the Eiffel Tower, or a park in Autumn, your wedding will surely be remembered and appreciated by all in attendance.